The evening started by her question “What is one skill which you each think women should learn?” The group of 59 ladies and one gentleman participated by volunteering their interesting responses. Some of us had an early knack for building or creating things. But for most of us, there were few people recommending to young women that a successful career in construction was possible. Whether working in the trenches as a trade person, or in an administrative office job, great opportunities for women exist - even as executives and business owners. 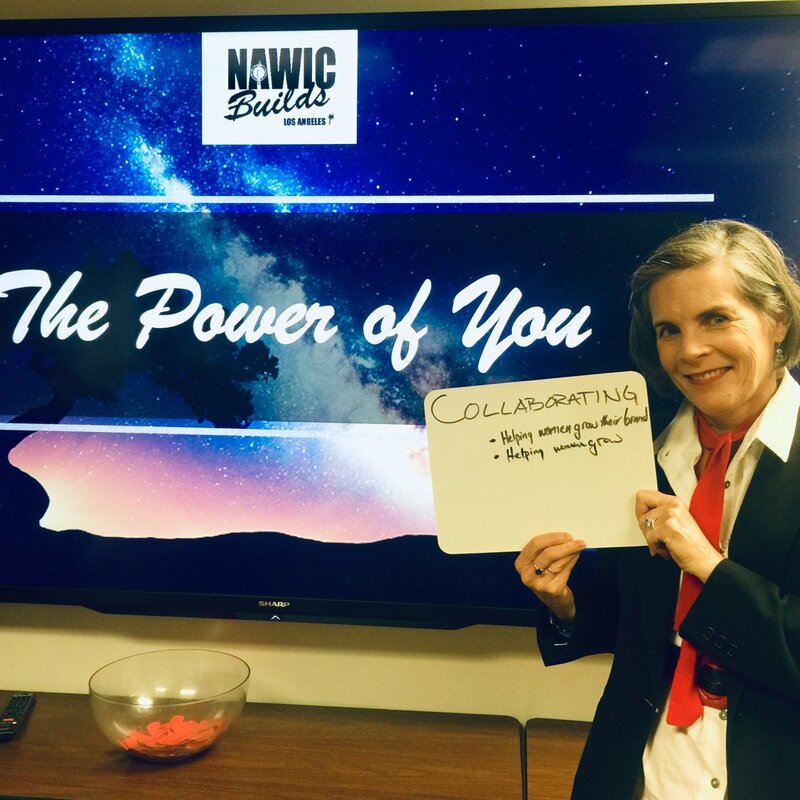 At the NAWIC LA Open House, the Board shared what we do as an organization, and described our chapter’s mission. 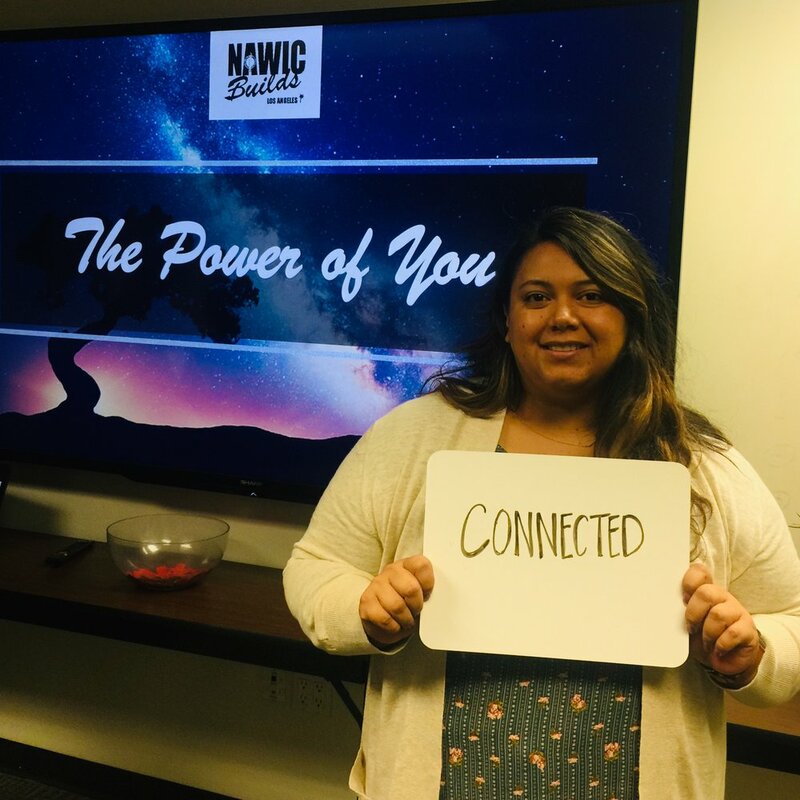 Shilo explained that joining forces with other women’s groups for WIC Week, and bringing together all our different ideas will get us to our goal: to unite everybody, women in construction, in particular. 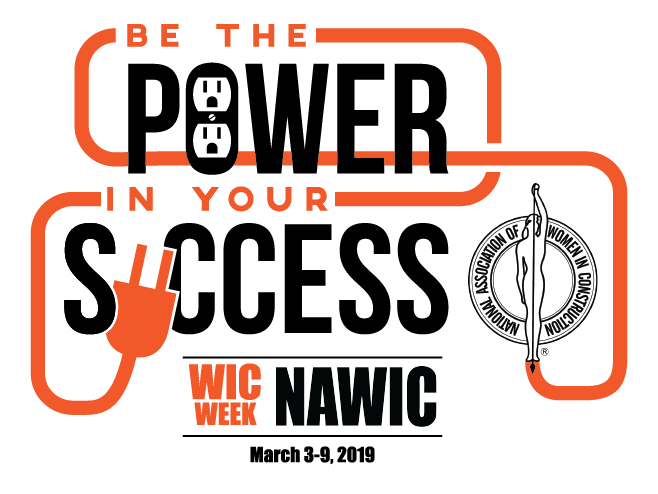 NAWIC LA is here to provide a safe space for conversation; we are here to help educate, and introduce women and young people to construction. Shayla Smith, of PCL Construction, was happy to report that we continue to grow our membership, and it looks like we are on track to reach our goal. Membership privileges include free or discounted fees for our workshops, networking with leaders and influencers in our industry, as well as opportunities to get involved in our STEM scholarship programs. Many of us who serve in the Board, are like Barbara Kotsos, of Giroux Glass. 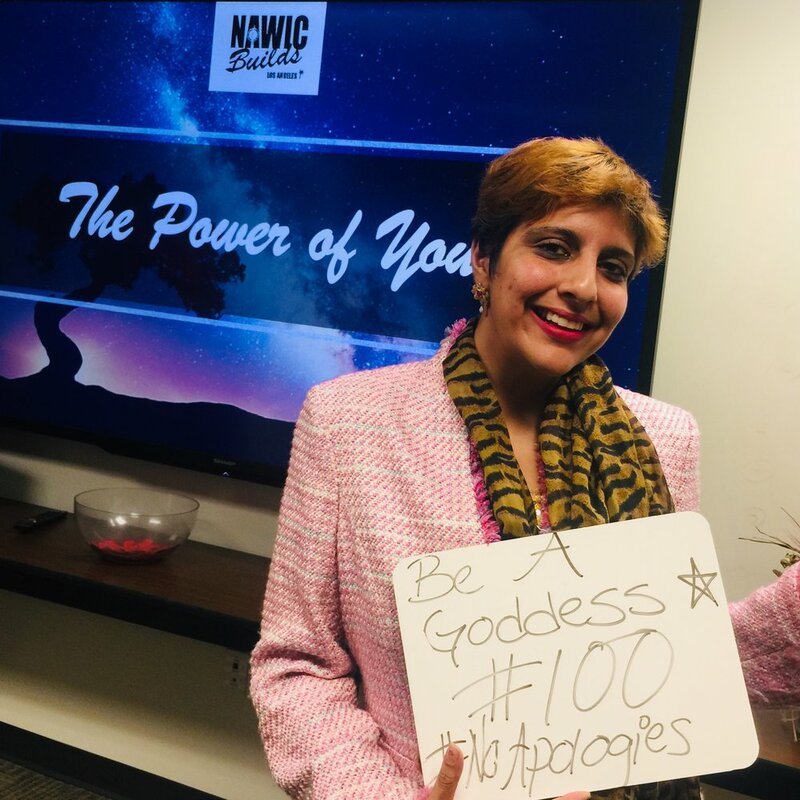 “NAWIC is a vocational interest and a passion that I engage in, on the side.” The key to setting these goals is devising the strategy to execute them. Barbara is the chair of the Communications Committee, along with Jackie Rivera, of Alliance Construction Services. “Critical to reaching our goals, is to have strong communication supporting them, to help get the word out, to share our message”. Dr. Giovanna Brasfield of Hensel Phelps heads the Block Kids Committee. Imagine 50 kids, each given 100 blocks, one piece of string, one rock and one piece of paper. Pretty ordinary, maybe even child’s play. The magic happens when they explain their work. Last year, our winner went to the national competition, and brought home the second prize. 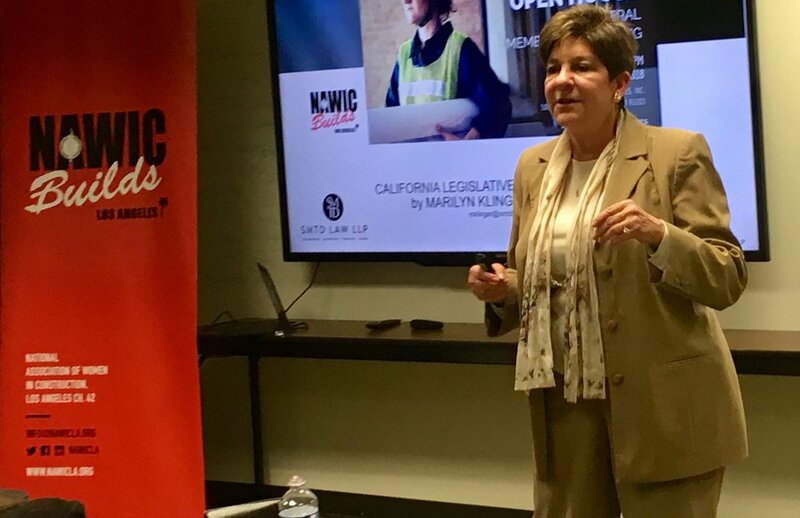 The evening wrapped up with Legislative updates, presented by attorney, Marilyn Klinger, of SMTD Law. She has lectured in the Stanford Graduate School of Engineering’s construction management course, and she told us how all those students freely ask questions. She encouraged our group to do the same. “Don’t hesitate. Ask questions!” Shared here is her presentation of legislative updates, compiled for our reference.